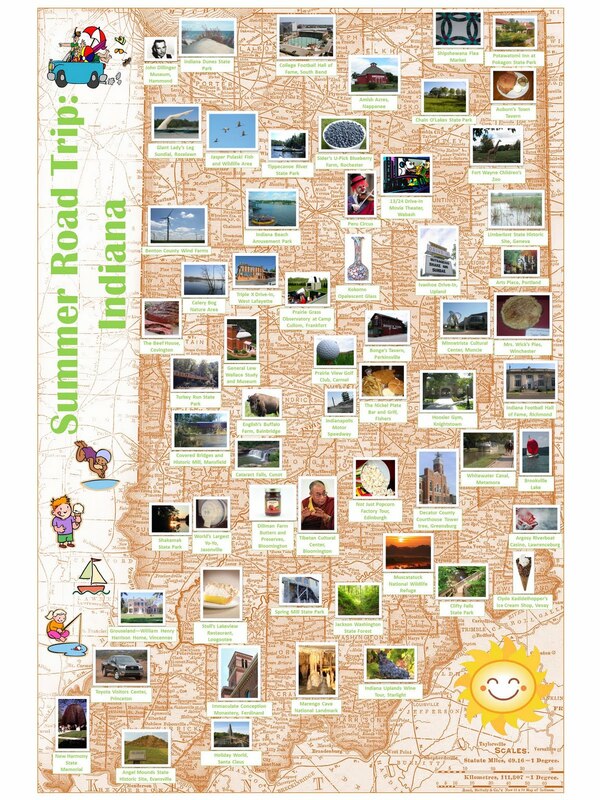 The Ball State University Libraries’ GIS Research and Map Collection (GRMC) marks the first day of summer with a map featuring interesting travel destinations around the state of Indiana. The map shows the locations of state parks and forests, diners, animal farms and zoos, a wine tour, and even a giant sundial for travelers interested in a unique summer getaway. (Click to enlarge). The map is available for reproduction from the University Libraries’ Cardinal Scholar repository at http://cardinalscholar.bsu.edu/handle/123456789/194204. 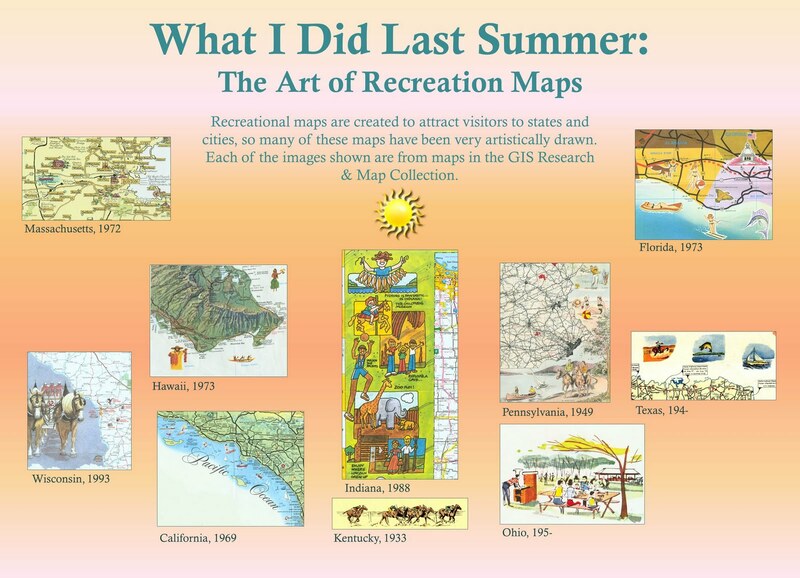 The poster “What I Did Last Summer: Art of Recreation Maps” was created for an exhibit and features summer-themed artwork from maps in the GRMC. Many of the maps, atlases, and guides available from the GRMC are excellent cartographic resources for summer travelers. Maps from the GRMC may be circulated for two weeks or longer, and atlases circulated for 28 days or longer. For more information about these resources, please contact the GRMC at 765-285-1097 Monday through Friday.